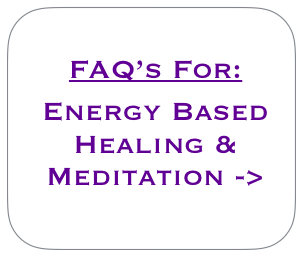 What are my options here for energy based healing? Free Distance Healing: This is perfect for anyone wishing to bring more love, light & healing into their life without the need for doing anything at all - we will send you a series of divine healing energies absolutely free! Ascension Pathway: Our ascension pathway is for those who want to bring a very significant amount of purification & healing into their life and are by far our most effective and intensive form of energy based healing. We invite you to visit our Ascension Pathway webpage for more information about this and we hope you enjoy your journey forwards into many new and exciting layers of the new consciousness. Reiki / Healing Courses: Under this category, we are offering a range of different types of energy based practices including Usui Reiki (including Advanced Usui Reiki), Kundalini Reiki (including Advanced Kundalini Healing), Universal Reiki (a series of six high vibration healing systems), Divine Cleansing and a range of Master Level symbols courses. Please refer to these individual pages for more information about how to start receiving these divinely guided healing energies. Video Meditation Course: Our comprehensive video meditation course provides you with a good variety of basic & intermediate meditation practices to help you move forwards on your pathway. We introduce each meditation in around 5 - 10 minutes to give you an in depth understanding about each of these practices.